The Gatlinburg Wine Weekend 2018 consists of two events, the Gatlinburg Wine Tour and the Gatlinburg Smoky Mountain Wine Fest. The Gatlinburg Wine Tour is Friday April 13, 2018 and takes you on a guided tour of Gatlinburg’s wineries and wine establishments. Registration/check in runs from 5:00 pm to 6:00 pm and the tour begins promptly at 6:00 pm. Seats are limited for this event so we encourage you to purchase your tickets in advance. Participants of this event must 21 years of age or older. 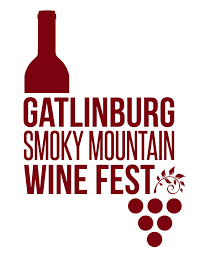 The Gatlinburg Smoky Mountain Wine Fest will be held at Arrowmont School of Arts and Crafts on Saturday April 14 from 1pm - 6pm. Wineries for the event will come from all over Tennessee! Visitors age 21 and older can purchase a ticket ($25 in advance and $30 at the gate) and receive a wristband for sampling and a branded wine glass. 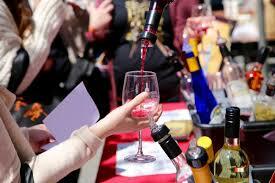 The wineries will provide wine samples of 1 oz at a time to everyone with a wristband. Guests will be able to purchase bottles of Tennessee wine to take home as well as wine related merchandise. Sanctioned by the Tennessee Farm Wine Growers Alliance, Inc, the highly successful wine festival will feature 18 + wineries from across Tennessee providing samples of their labels along with small dish fare from the best restaurants in the Smoky Mountains. 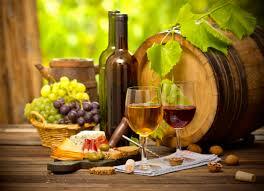 Guests at Smoky Mountain Wine Fest will have the opportunity to sample wine from all over the state of Tennessee. 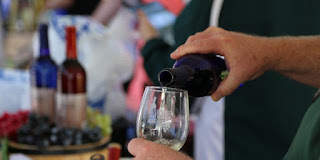 Vendors attending in 2017 were: Apple Barn Winery, Goodwater Vineyards, Grinder’s Switch Winery, Hillside Winery, Keg Springs Winery, Mill Bridge Winery, Mountain Valley Winery, Spout Springs Estates Winery, Sugarland Cellars, Sumner Crest Winery, The Winery at Seven Springs, Amber Falls Winery, Beans Creek Winery, Lynchburg Winery, Natchez Hills Winery, and Cades Cove Cellars.